Business is the lifeblood of Dubai. The city and UAE as well have been at the nerve centre of business from a time long past. And this tradition of entrepreneurship endures even to this day. The Carlton Palace Hotel recognises this spirit of business of the city. Which is why, we are one of the premier meeting and conference hotels in Dubai. Sophisticated conference facilities. World-class service. 5-Star accommodations for all guests and delegates. Luxurious amenities. A central location. Space for over 300 people at any event. These are just some of the reasons why people meet us to have their meetings or special events with us. 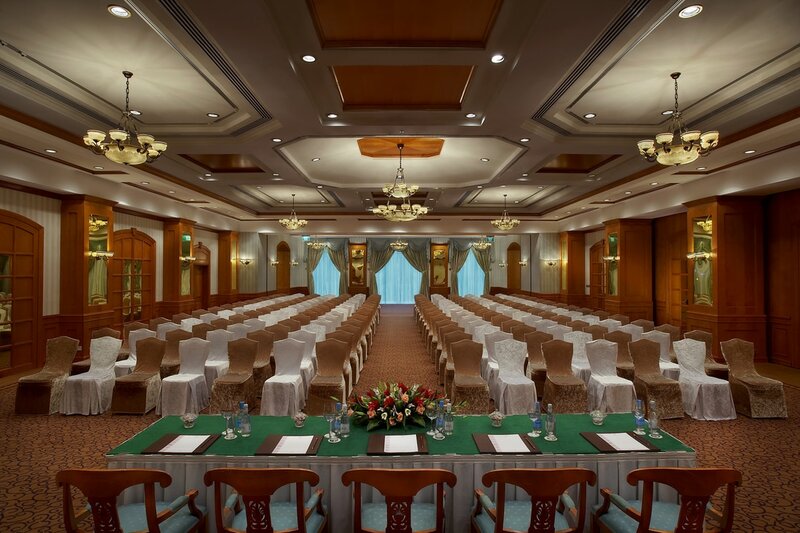 So whether you are planning a small team event, a medium sized office meeting or even a large-scale regional assembly or sales conference; or whether you want to host a wedding banquet, an awards reception, a large family get-together or even a kid’s birthday party, our Conference Hall and Ballroom provide an ideal venue. All this within the heart of Deira Dubai.